Nissan is recalling 46,000 of its Cube model over possible problems with fuel spilling during rear end collisions. In documents filed with the National Highway Traffic Safety Administration, Nissan said Monday tests conducted by NHTSA safety regulators found more fuel spilled than federal standards allow. The spillage occurred during rear end crash tests where the vehicle also spun around. Nissan said its own earlier tests did not show any fuel leakage, but it will issue a voluntary recall. It notified dealers last week, and will contact owners on Aug. 30. Dealers will attach a special protector to prevent leaks. The recall covers model year 2009 and 2010 Cubes made between Jan. 30, 2009 and July 30. 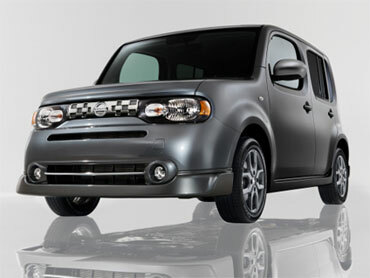 A boxy, sporty hatchback, the four-door Cube was introduced in Asia before being sold in the U.S. last year. It has proven popular with U.S. buyers, who have bought 15,530 this year through June, a 300 percent improvement over the same period a year ago. Toyota reported a similar problem last month from NHTSA tests of a Lexus hybrid. The automaker also did not find problems in its own tests, but .